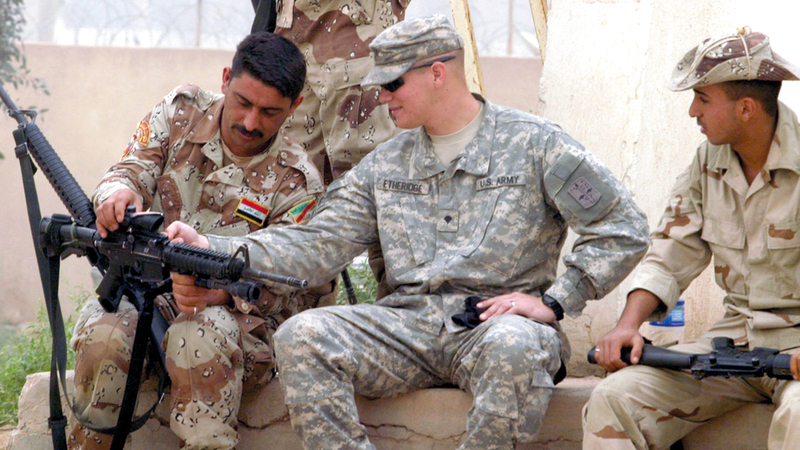 Iraqi President Barham Salih and many politicians in the country have condemned US President Donald Rumsfeld's plan to use US troops in Iraq to monitor neighboring Iran as Baghdad tries to balance relations with the two most important allies, Washington and Tehran. 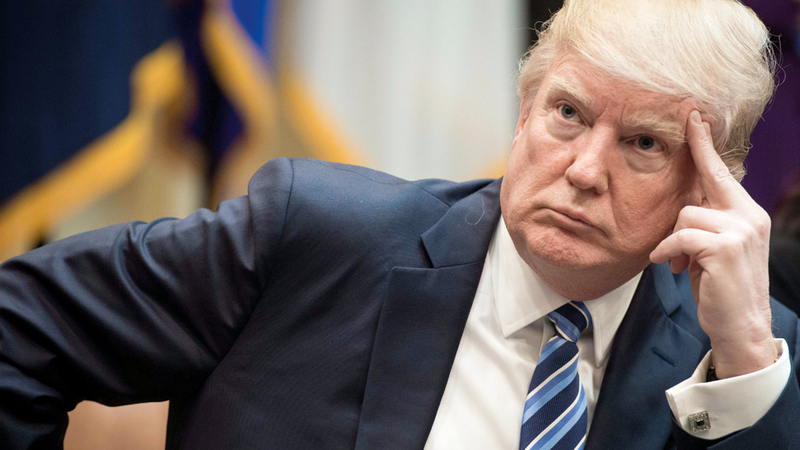 Trump said in an interview last Sunday, CBS News, that he wants to maintain a military presence in Iraq to monitor Iran, "because Iran is a real problem." Trump said during a visit to a base in western Iraq last December that "America has spent a lot of money" on its creation and we should stick to it. In response to Trump's comments, Saleh, who is a friend of the United States, said Baghdad had not received permission for such a move and urged Americans to abide by their pledges to help counter a "hasty" organization. 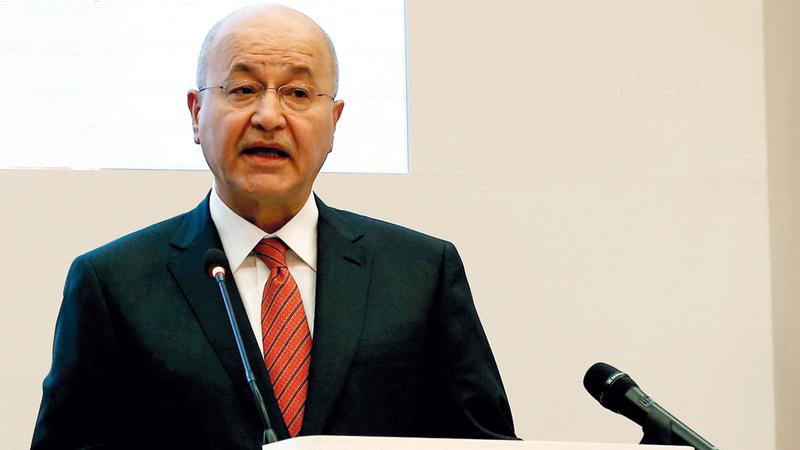 "It is in Iraq's fundamental interest to have good relations with Iran," Saleh said, addressing the United States. "Do not burden Iraq with your own issues." Last month, Saleh appealed to visiting US Secretary of State Mike Pompeo to keep US troops in Iraq. Trump's comments come amid intense debate in Iraq about the continued presence of the US military in the country or not. Efforts to expel US forces are likely to intensify. Trump's words, and the resulting violent reaction to any US plan to move forces deployed in Syria, could also undermine Iraq. Qais al-Khazali, who once fought US forces with Iranian support and now controls 15 seats in parliament, says Trump's remarks revealed that the real motivation for the US to stay in Iraq was not to strengthen Iraqi capabilities, but to target neighboring countries. Both the United States and Iran have supported Iraqi forces fighting da'wah. These conditions have made them de facto allies, but they have found themselves increasingly at odds with the retreat of their common enemy. After withdrawing from the multilateral nuclear agreement of 2015, the United States stepped up efforts to pressure Tehran, through sanctions, and the United States has been pressing hard on Iraq to reduce its economic ties with Iran. But Iraqi anti-US factions, including a coalition with close ties to Iran, gained political influence in last year's election and pressed the government to drive US troops out of Iraq. Last month, a group of legislators submitted a request to Iraqi parliament speaker Mohamed Halabousi to vote on withdrawing US troops from the country. Trump's sudden visit last December to the base of Ayn al-Asad - where the largest number of US troops are based - has added more oil to the fire because it was seen as troubling Iraqi officials because Trump violated state sovereignty by not informing them that he was coming to Iraq. Although the Iraqi parliament alone does not have the power to expel American forces, the proposal puts more pressure on the government as it struggles to rebuild the "devastated" areas, prevent insurgents from regaining their strength, and contain growing public anger over poor services. And corruption. Iraqi officials are doing their utmost to avoid being dragged into a possible confrontation between Washington and Tehran. Prime Minister Adel Abdul Mahdi has not publicly spoken of Trump's recent comments, but has already pointed out that US troop levels are falling. US officials say there are about 5,000 US troops in Iraq, but politicians opposed to their presence say the real number is much higher, including combat troops, contrary to claims by the United States that its mission is only to train and assist Iraqis. While Shiite politicians are competing for a call to resist the United States, Kurds and Sunnis generally support the continued presence of US troops, fearing that history will repeat itself. After the United States withdrew its forces from Iraq in 2011, the militants took advantage of the political instability that followed to gain strength, with instability reaching its peak when Dahedish seized nearly a third of the country. Although Da'ash no longer controls any area, the remnants of the group have returned to rebellion. Al-Halbusi warns of a hasty withdrawal of US forces, citing his experience as a former governor of Anbar Province when he saw the role of US intelligence in fighting "da'ash." "The Iraqi security forces still do not have such capabilities. How can we give up the United States? Who will help us?" He says. - Iraqi officials are doing their best to avoid being dragged into a possible confrontation between Washington and Tehran.